We understand that for many, pain is a daily part of life and that nobody should have to live in pain when there are treatments available. Marijuana has many medical benefits that ease the pain that traditional medicine cannot offer. Our mission is to empower patients with the ability to treat and heal their bodies with natural medicine. At Dr. Reeferalz, we will treat all patients with kindness, compassion, and respect. We will work hard to preserve each patient’s dignity as they proceed through the process of regaining their health. 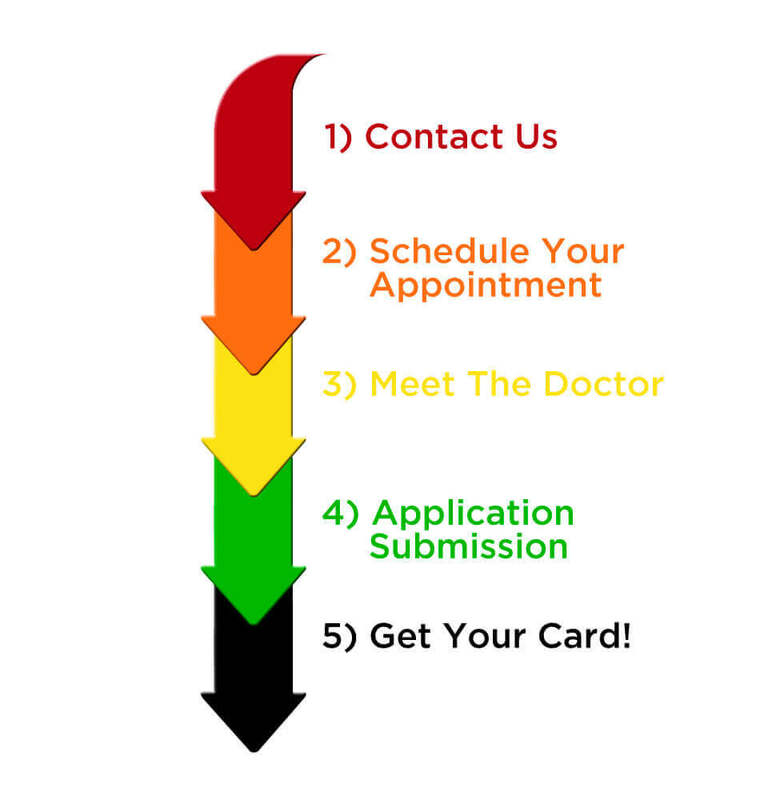 Call your closest Dr. Reeferalz, email us, or walk-in and start your evaluation process! We are here to answer any questions you have and describe the process from start to finish for you. We will also explain the need for medical record(s) documenting your qualifying condition. If you have previously seen another doctor for your condition, we will obtain the record(s) for you after you sign a medical release form. If you do not have any outside medical records, we can schedule you with our in-house doctor for an exam and medical record on the same day as your evaluation appointment. Once your medical records have been obtained, or you need to schedule an exam with our doctor, we will schedule your evaluation appointment. When you come in for your appointment with the doctor, they will review your records to discuss your condition and the history. After that, they will describe the proper use of medical marijuana and answer any questions or concerns you may have. If you have a qualifying condition, the doctor will complete the Arizona Physician Certification Form that is required for Arizona’s Medical Marijuana Program. Our staff will then process your application with the state and you will leave our office with a state receipt, your certification and renewal information for next year. Now you have made it to the final step of our evaluation process! After we have submitted and the ADHS receives a complete application, ADHS will issue your medical card to you within 10 working days. You will NOT be able to purchase from any dispensaries until your card arrives in the mail. Once it does arrive you can go to any dispensary in and only in the state of Arizona. Inside 10 business days, you will get your card via the post office.